5 Points Collect 20 stars in a single flight. High Flyer 5 Points Reach an altitude of 15m. Hourglass 5 Points Be flying for 1 minute. Lift Off 5 Points Travel 200m in a single flight. All Star 10 Points Collect all the available types of stars in a single flight. Bird Hunter 10 Points Reach 5x Crane bonus. Close Call 10 Points Escape from a stall at less than 3m altitude. Easy Gliding 10 Points Travel 300m without using any fuel during your flight. Flying Low 10 Points Travel for 300m without exceeding 3m altitude. Long Haul 10 Points Travel 1000m in a single flight. Profit 10 Points Collect $500 in a single flight. Second Wind 10 Points Get boosted by 3 windmills in a single flight. Swan Dive 10 Points Fly straight downwards at terminal velocity. Big Money 25 Points Collect $3000 in a single flight. Daredevil 25 Points Successfully escape from stalling three times in a single flight. Efficiency 25 Points Clear Japan in 30 days or under. Galaxy 25 Points Collect 100 stars in a single flight. Icarus 25 Points Collect 30 space stars in a single flight. Supersonic 25 Points Reach a velocity of 25m/s. The Prophecy 25 Points Clear Egypt in 21 days or under. What Happen? 25 Points Bounce along for another 100m after making contact with the ground. Borbonne-Le-Bonne 50 Points Clear France in 15 days or under. Royal Mail 50 Points Clear England in 8 days or under. 5 Points No, you can't fly! Burger Get 100 Points Game completed! Awsum Yay! Pranked 5 Points Secret Medal: Unlock this medal to view its details! Fast 100 Points Secret Medal: Unlock this medal to view its details! Shortcut 3 100 Points Secret Medal: Unlock this medal to view its details! Super Fast! 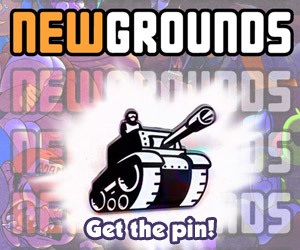 !1 100 Points Secret Medal: Unlock this medal to view its details! 25 Points Beat the game! 50 Points Replay the game. I don't need lives! 100 Points Finish the game without dying. Kill the Main Boss 100 Points Defeat the final boss. 25 Points Sit there, shut up, and watch the entire thing...ALL THE WAY TO THE BITTER END. GO BACK TO AFRICA 100 Points Yeah, you're gonna sit there and watch it again - AND THIS TIME, YOU BETTER LOVE IT. 25 Points The Hatter seems Madder. 50 Points Secret Medal: Unlock this medal to view its details! Something Fishy 100 Points Escape Jail and Trigger the Strange Device. 10 Points The more aggressive problem solver. Brain 10 Points The more thoughtful problem solver.